Home-grown international shipping service start-up receives seven-figure investment to fuel expansion plans. 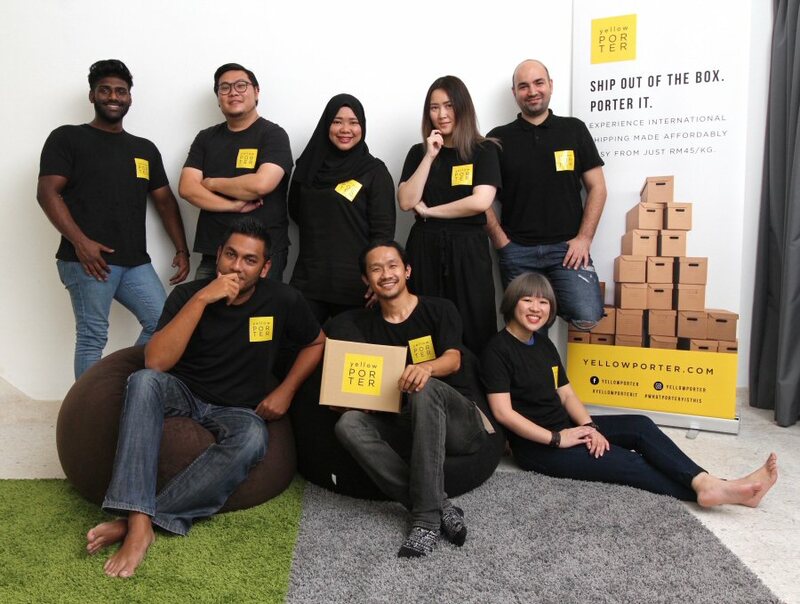 Yellow Porter, a Malaysian based international shipping service start-up is poised to accelerate its growth by securing a RM1mil funding led by Cradle Fund Sdn. Bhd. Co-founder and Chief Executive Officer Vimal Kumar said the growth achieved by the start-up since its inception a year ago showed enough fervour to earn and attract investor's attention which will fuel the company's expansion plans. "As a relatively young start-up, having only been in operations since January 2017, Yellow Porter has seen an encouraging growth. For the year of 2018, we are confident to achieve a 100% month-over-month growth in user acquisition and a 20% to 30% month-on-month growth in shipping orders for the entire 2018," said Vimal. In the previous round, Yellow Porter secured angel investors funding and the Cradle CIP150 grant (pre-seed program). And the company kicked off 2018 on a positive note, receiving an equity investment from Cradle via its DEQ800 programme and funding from a co-investment program, Cornerstone. Yellow Porter's base of business and unique selling point is to complement the e-commerce industry by offering affordable end-to-end international shipping and last-mile delivery service. Via this platform, users will gain access to Yellow Porter's overseas shipping addresses in which purchased items from e-commerce or physical stores abroad can be delivered to. The items will then be matched to travellers, who are registered as their 'Porters'. The process is done completely online and proves to be hassle-free across the board, and 'Porters' pocket a reward for helping buyers acquire and ship items. On the buyers' part, products ranging from tech gadgets, electrical items, cosmetics, fashion articles, K-pop albums and more are shipped to their desired location at a relatively more affordable price, without forking out exorbitant international shipping rates. To scale globally, Yellow Porter has a strategic partnership with established logistics players like DHL and others that provides an option for express shipping and larger sized items to reach its customers. Yellow Porter currently serves Malaysia, the U.S., U.K., Australia, South Korea, Japan, Germany, Taiwan, India, Hong Kong and with more countries to come. In terms of B2B partnership dealings, Yellow Porter collaborates with various SMEs (small, medium enterprises) from the e-commerce segment as well as the brick-and-mortar stores; ranging from clothing and fashion, tech and gadget, customised leather shoes as well as pet accessories. Currently in the pipeline, Yellow Porter plans to level up web and mobile automation, giving its customers a seamlessshipping order experience, shipment tracking and a shipping fee estimation. Moreover, Yellow Porter will be utilising the funds on through-the-line marketing initiatives to drive incremental awareness and grow customer base. As part of Yellow Porter's digital creative and social media marketing efforts, Yellow Porter has forged a strategic partnership with Company 27 (C27) to achieve their marketing goal. Yellow Porter is the brainchild of Vimal and four of his friends (Jolene Tan, Terence Pragash, Paul and MJ) each having experience in various industries encompassing airlines, technology, branding and creative, amongst others. Yellow Porter's cross-border shipping solution was conceived from the co-founders' very own experience of desiring their favourite labels from abroad that were not available where they were. Realising that it was a very common sentiment amongst their friends, they saw the opportunity to capitalise on an unconventional shopping and shipping method - getting a favour from someone who is travelling the same direction. Following a year of careful planning and sound guidance from friend and mentor, Azran Osman-Rani, Yellow Porter took off and now successfully enables Malaysians to experience international shipping made affordably easy from RM45/kg. And as Yellow Porter grows, so does its team with Matthew Oh and Caroline Wong coming on board the management team and contributing their respective expertise towards the business' Tech & Analytics, and Commercial & Marketing. Based on the feedback from its customer base and leveraging on cheaper market prices, Vimal said, it made sense for Yellow Porter to expand their service to India and Taiwan, earlier this year in March as well as Hong Kong by October 2018. The expansion makes it easier for Malaysian users to acquire, order or ship items from there. "Due to the positive outlook on our expansion in India, we are striving to expand our business in Southeast Asian countries such as Indonesia and Vietnam. In addition to that, we are also hoping to expand Yellow Porter's scope to more cities in Europe and USA," enthused Vimal.